Home » Academics » Schools » College of Arts, Humanities and Social Sciences » Faculty » Brian St. John, M.F.A. 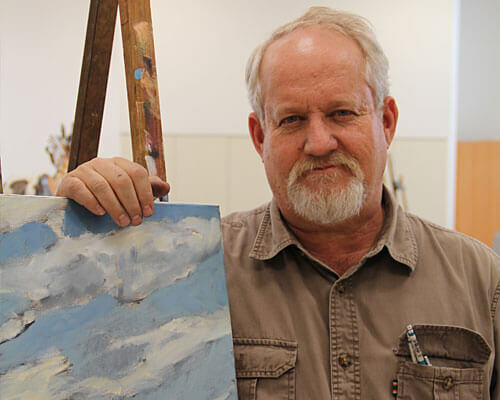 As a professional artist, St. John maintains a private studio in San Antonio. Painting has always been his primary focus in making art. He has worked in other media and processes such as printmaking/etching, and sculpture in clay, but his love is painting. He has academic training in both abstraction and naturalism and has a deep appreciation for both. His influences are varied both in time and place. He finds interesting ideas and beautifully realized work from different historical time periods and styles. St. John’s main interest now is in the works produced during the late-19th century to the mid-20th century.